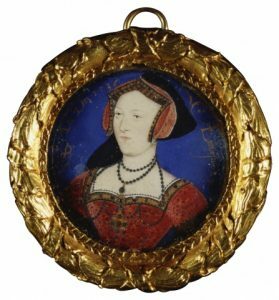 On Tuesday 30th May, just eleven days after the execution of his second wife, Anne Boleyn, Henry VIII married Jane Seymour in the Queen’s Closet at York Place (Whitehall), the property renovated by himself and Anne. The King and Jane Seymour had become betrothed on 20th May, a day after Anne’s execution, but did not marry immediately because the speed of their relationship sounded “ill in the ears of his people”. As if an extra ten days made any difference! Jane was officially proclaimed Queen at Greenwich Palace on 4th June 1536, Whitsun. I’m sure I’ve read this somewhere and forgotten, but was Catharine and Anne the only wives of Henry’s to be crowned as Queen Consort? Well, I answered my own question. Catharine Parr was coronated also. 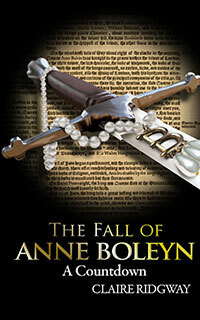 Only Catherine of Aragon and Anne Boleyn were crowned Queen. Catherine Parr did not have a coronation, she was proclaimed Queen on the day of her marriage to Henry VIII. Catherine of Aragon was crowned in a joint ceremony with Henry VIII. Jane was due to have a coronation but she died before it got organised. Anne of Cleves and Catherine Howard were never crowned. Thank you for clarifying that. My first thought was correct. I misread a resourse on Queen Katharine. Its quite strange isn’t it in the fact it was deemed fit to become betrothed the day after Anne was executed, but held back for another ’10 whole days’ before he remarried for it to seem a decent period!! Honestly..Who did he think he was fooling.